There is always something going on in Lucca, there are museums, shopping opportunities and when it comes to food – a basic experience here – the dining scene offers a range of well- preserved flavors. Oil, wine, home-made products have always kept faithful to its tradition. A reasonably good reason for a mid-winter holiday, profiting from the numerous accommodations offered by Tuscany Holiday Rent. An interesting event these days in Lucca. 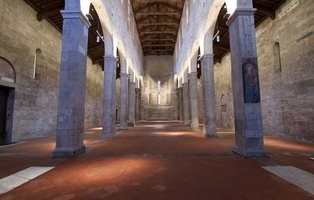 A small but quite enjoyable exhibition in the Romanesque church of San Cristoforo. 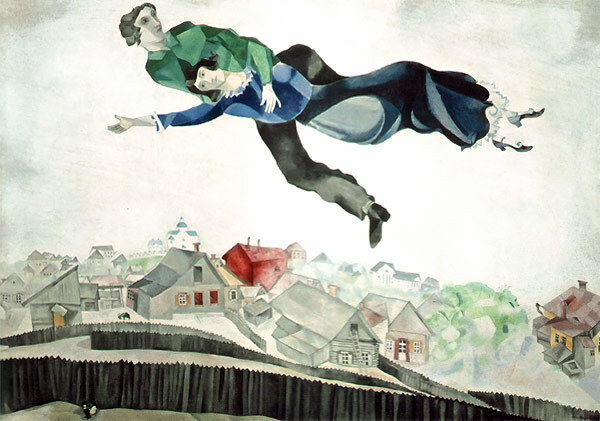 “Chagall’s Spiritual Universe”. The framework and the paintings of the Russian artist perfectly match. The exhibition, lasting up to March the 11th 2012, includes the works painted between 1959 and 1982. 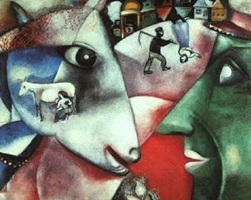 By that time Chagall seemed to be turning away from the horrors of the Holocaust, from the Quartered Ox of 1947, where the gigantic animal symbolically stands for the six million Jewish innocent victims of the second world war. The1941 German invasion of his hometown, Vitesbk, has been turned into a grievous memory. In the paintings of Lucca exhibition he, far from the issue of sacrifice, real focus of Jewish tradition, resumes the joyful amazement which belongs to a people, to a culture characterized by a continuous mixture between the sacred and the profane, by pouring off the ordinary daily dimension into a more elevated spiritual sphere. “Our inner world – he used to say – is more realistic than the actual world but being made of dreams, wishes and memories it can fade away, that’s why we have to bring it to the surface and get fresh air”. As a visionary painter and poet, he is able to explore the double domains of words and colors to bring out his world, where the imaginary characters tell the story of his soul, fed on the cherished memories of his childhood at Vitebsk and of its sweetly unreal and snowy houses he likes indulging. Thence the colors and lightness of L’âne blanc dans le bouquet or the Profil du peintre where Chagall’s brush magically dances and sings in complete freedom. The twenty precious oil paintings and mixed technique canvases, on show here, deal with the theme of love. This tenderly blossoming feeling makes the two lovers of Le bouquet jaune dance, as accompanied by the music of a violin, turned fantastically into a bunch of yellow flowers and similarly drives the romantic ride of Dans le ciel de Saint-Paul towards the sun conquest. In such a visionary world the circus, as a mixture of reality and fantasy, could not be missing. Thence the Clown au visage bleu and the Trapéziste. The religious issue is present too, with the 105 etchings focused on the Bible characters, belonging to the period between 1931 1939 for limited edition publications by Ambroise Vollard, the great impressionist art dealer.